How much do you spend on Christmas stockings? Choosing stocking fillers is such a lovely part of getting ready for Christmas, but it’s getting more and more expensive. In fact, the average spend on a single Christmas stocking is now over £70! We know it’s possible to fill a stocking with goodies for much less, so we challenged eight of our favourite bloggers to come up with a great stocking for half the price. 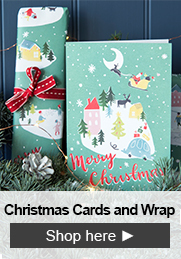 As you’d expect from these brilliant bloggers, each stocking is a thing of beauty, filled with the perfect combination of little gifts to delight and surprise. 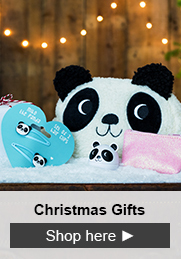 And at around £35 each, they’ll take some of the pressure off the Christmas spend. Read on for wonderful, Christmassy inspiration. Some of them are even up for grabs - so good luck! Choosing gifts for a tween was Lauretta’s challenge. Stuck for stocking fillers for your ‘tween’? Blogger Lauretta’s daughter Nadja is on the cusp of adolescence, so the Home and Horizon author knew she had to find gifts to make her feel grown-up, while still appealing to her childlike nature. Lauretta chose a cute bamboo travel mug for hot chocolates when they’re out and about: ‘I know that Nadja would love to have her own special drink in her own special cup’. She also chose a money-minder keyring to help her keep loose notes safe when she’s shopping in town. Next, Lauretta added a pack of Guatemalan worry dolls - which Nadja has wanted ever since finding Lauretta’s own set in her bottom drawer. There’s also a scratch world map for her travel-mad daughter, and a portable charger for keeping tablets and phones full of juice. We think Lauretta’s stocking is the perfect blend for a tween girl. Love this stocking? Check out the giveaway on Home and Horizon. Go practical for your stocking fillers, says Fionnuala. 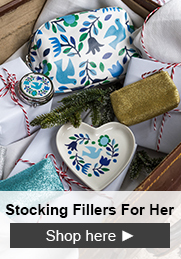 ‘Year on year, however hard I plan, I splurge on stocking fillers in the last few days,’ admits Fionnuala of Three Sons Later. Determined to complete our challenge, Fionnuala chose to put together a stocking for her outdoorsy husband. 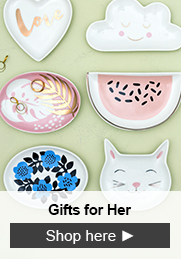 She picked out thoughtful, practical gifts she knows he’ll love. A foldable wooden ruler, cast iron garden bell and pocket torch were ideal for upcoming DIY projects. And Fionnuala knew her bearded husband would put a grooming kit to good use. Last, but not least, she added an alarm clock to dissuade him from keeping his phone by the bed: ‘Smartphones, as we all know, are incredibly useful but also highly addictive and can disrupt our sleeping patterns… it might just lead to a better night’s sleep’. Want this practical stocking? Check out the giveaway on Three Sons Later. Helen has picked the perfect stocking for a little lady. Shopping for a little girl? 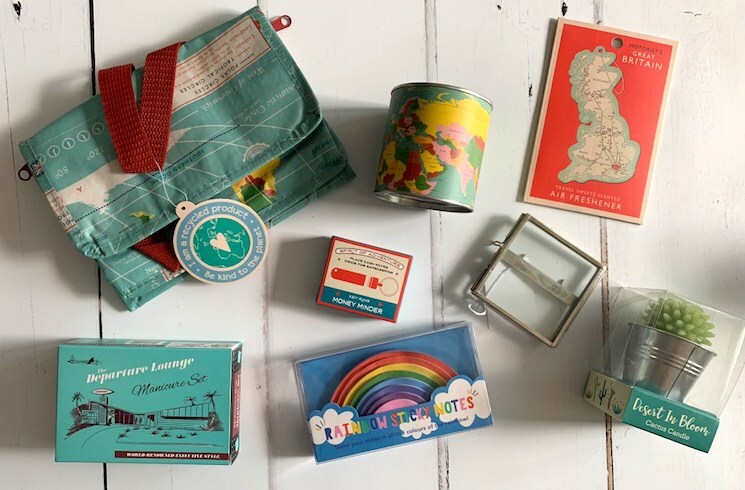 Helen from Treasure Every Moment chose a selection of whimsical gifts for her own 3-and-a-half-year-old. 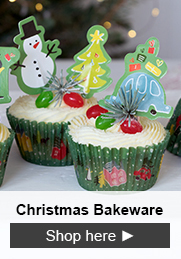 She bought gingerbread-men cutters and a cute bamboo children’s tray to make dolly tea parties come alive. Next, she chose animal stamp pens, pencils, notebooks and a magic aquarium to appeal to her creativity. And the pretty hair clips and mermaid bath fizzer make the perfect gifts for a little Ariel. Last of all, Helen bought one of our jumbo storage bags so that Isabella can play grown-ups - packing and unpacking it for imaginary holidays or shopping trips. Reminisce this year with a vintage-style stocking. 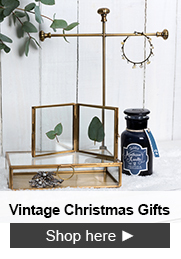 Want to go retro with your Christmas this year? Then look no further for inspiration than Cassiefairy’s My Thrifty Life. 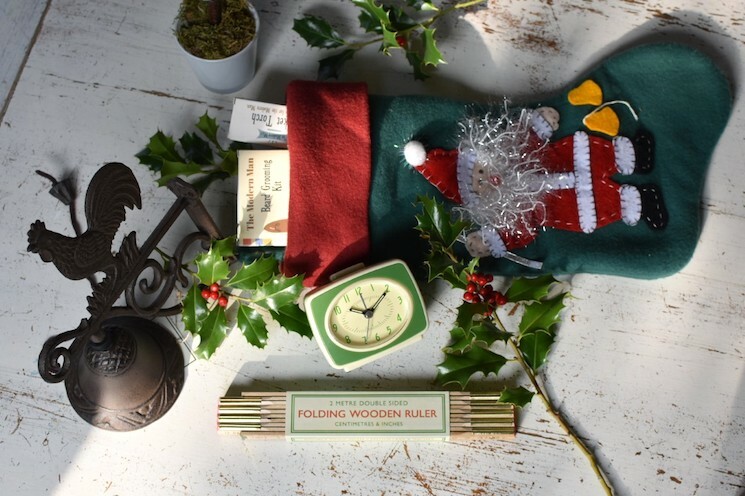 Blogger Cassie’s vintage stocking will appeal to children and the young at heart. We love the selection she’s picked out! 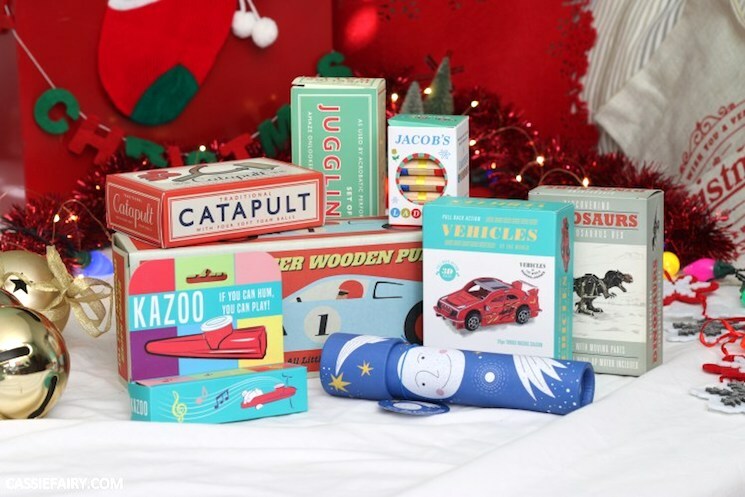 With a wooden pull-along car and two make-your-own toy kits, Cassie’s stocking will keep everyone happy for hours. Love this vintage stocking? Check out Cassiefairy’s giveaway today. Don’t get stuck shopping for the men in your life. ‘I don’t know about you, but I find my husband pretty difficult to buy for’ says Jenny from The Gingerbread House. 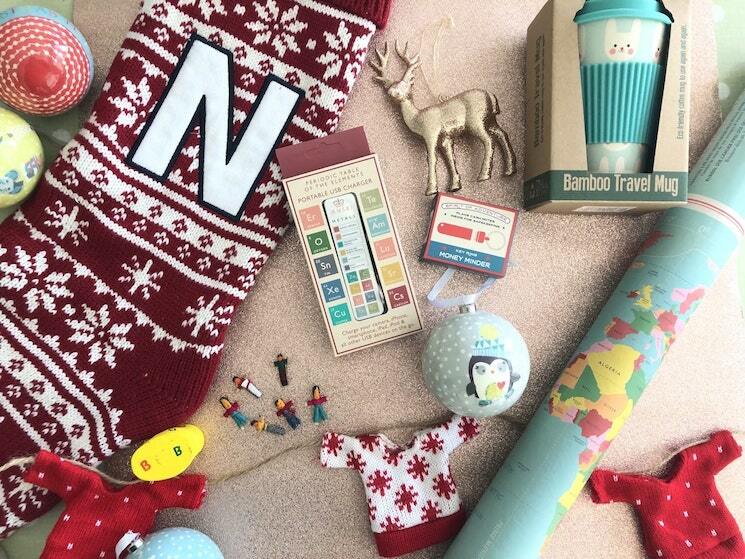 If you’re in the same boat, you might want to try Jenny’s selection of stocking fillers. Her partner travels for work, so she picked out useful, smaller items that he can take with him. 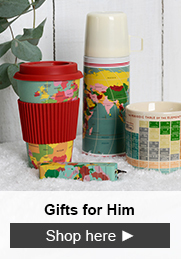 Sticky notes, an insulated lunch bag, manicure set and car air freshener are ideal for his work travels. And to remind him of home whilst he’s away, a small picture frame (which Jenny is going to put snapshots of their children in) is a thoughtful reminder. 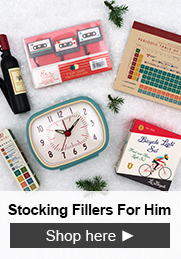 Are you stuck with what to get the men in your life this year? Then check out the giveaway Jenny is hosting! Stocking fillers for more than one person? Take inspiration from Lauren. When Lauren took up our challenge, she had one question on her mind, ‘Is it possible to fill a stocking for three people on a budget of £35?’ With her mum and sisters living on the other side of the country, she decided her gifts were going to include goodies fit for a pamper evening. Sparkly tea lights and moisturising animal face masks set the scene for a cosy night in. Lauren also included cupcake cases for festive baking and girly lipstick pens for some screen-free games. Lauren says: ‘The idea behind creating the stocking for my mum and sisters is to create a lovely memory.’ A beautiful sentiment indeed! Want a cosy night in with this amazing stocking? Enter the giveaway here! 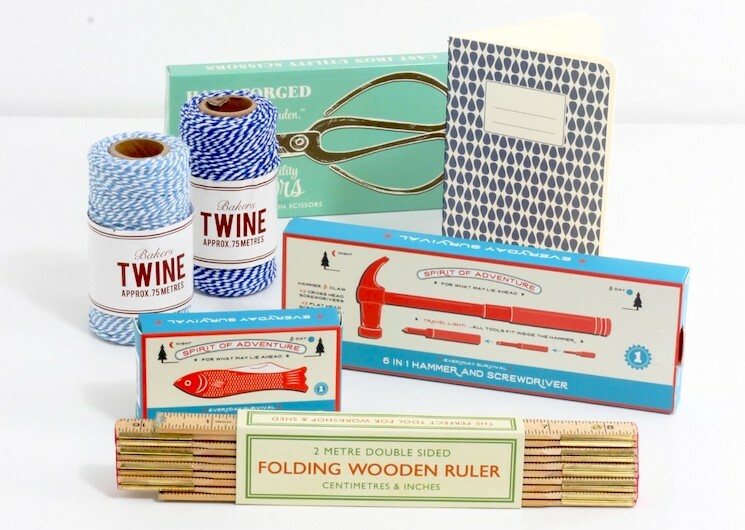 Get all the tools for a crafty Christmas. Do you have a crafter in your family, or a friend who loves DIY? Let your imagination flourish with this selection of goodies from Mike at The Crafty Gent. Mike has picked out the tools every creative mind needs to get started on their next craft project. There’s a small, A5 notebook for sketching out ideas and a retro-wooden ruler for sizing up materials. Scissors, a 6-in-1 hammer and screwdriver, and a pocket knife are essential tools for any serious crafter. And the smart bakers twine will always come in handy. Want to win this bundle? Then be sure to check out The Crafty Gentleman’s giveaway. Running until the 21st November. Treat your little one to the Magical Unicorn range. 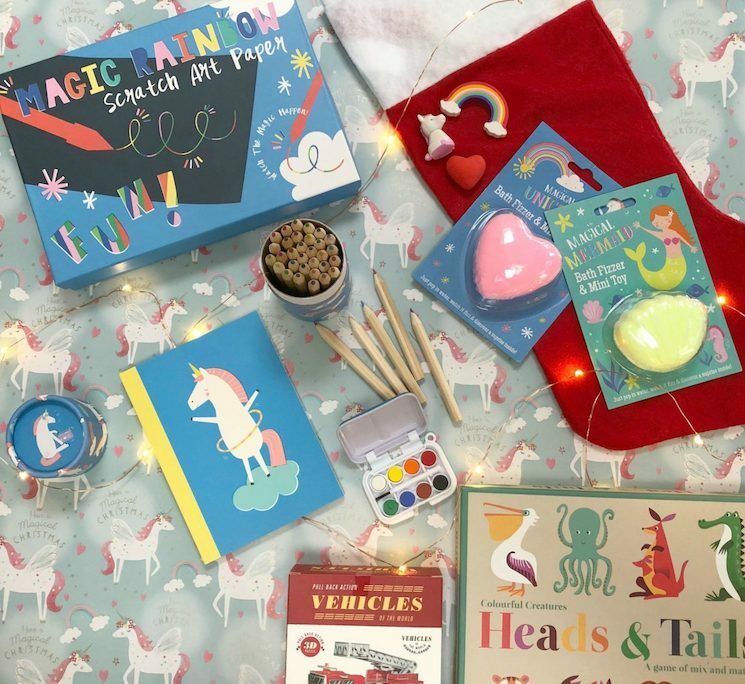 Katie picked items from our Magical Unicorn range, including notebooks, erasers, pencils, and a magical scratchpad ideal for her three-year-old’s budding imagination. She also chose bath bombs for Elsie to enjoy when she has a ‘big girl bath’. Next are some games the family can play together. A cute board game will provide festive family fun, and there’s a build-your-own Fire Engine for daddy-daughter time. Love this stocking fit for a ‘threenager’? Check out the giveaway on Beyond Tired. With eight stockings to choose from, we hope this has made present buying a little easier this year. Been inspired by these bloggers, or love the products? Then share your thoughts with us! Tag us on Instagram @RexLondonUK or use the hashtag #RexLondon.